Evaluation relies on a combination of facts and values to judge the merit of an intervention. Evaluative criteria specify the values that will be used in an evaluation. 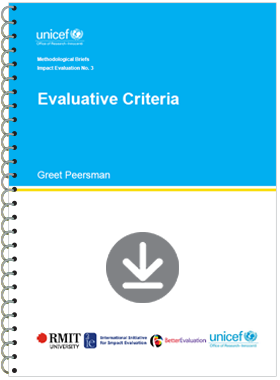 While evaluative criteria can be used in different types of evaluations, this brief specifically addresses their use in impact evaluations.